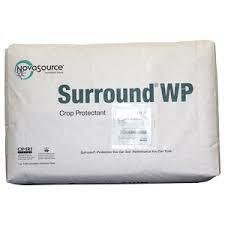 For the past 3 years, I have been spraying my vegetable crops with an OMRI-approved product called Surround WP. 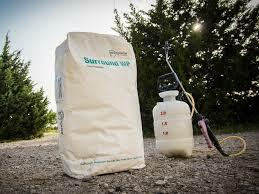 WP stands for wettable powder. This product is mixed with water and usually applied with a sprayer. As with any powder or fine particulate, try not to breathe it in and wear a mask. Surround is made of kaolin clay. It is a mineral that is mined mostly in China and used in a host of products from toothpaste to porcelain. It is touted as a broad spectrum crop protectant and pesticide. When you spray it on your plants, it coats them with a white liquid that eventually dries to leave a white opaque film on your crops. This film is supposed to act as a sunscreen to prevent sunscald in many crops. 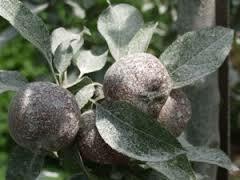 It also camouflages your plants from many types of insects and makes them unappealing to these same insects. When pests to land on your crops, they are "confused" by their environment and don't feed or lay eggs. Reapplication may be necessary after rains and on new growth. Disclaimer: I do not have any connection or association to the company that makes Surround.